Vedhika has a fairy tale allure to her. The charm of a princess straight out of Disney, and a primness that is decidedly royal. Careful not to put a foot wrong throughout our conversation, she is reverent towards her directors and costars. Cinema is a dream she has nurtured since childhood; she remembers being in awe of the stardom of Sridevi and Madhuri Dixit. A longing that made her stand in front of the mirror and mimic her favourite actors. She could be anyone. Mohini in Tezaab; Miss Hawa Hawaii in Mr India. Vedhika loved the thrill. Of living as someone else on celluloid. In Vasanthabalan’s Kaaviya Thalaivan, she lives the dream. Vedhika plays 17-year-old Vadivambal, a theatre artiste. “It’s a challenging role, with a lot of scope for performance as well as dance,” she says, adding that she did a lot of theater and dance when in college. A period film, Kaaviya Thalaivan called for ‘a different body language, dialect, costume and make-up.’ And everything, she reveals, was minutely detailed. The movie will also have some “stunning performances,” she says. Her reference points were Sivaji Ganesan and KP Sundarambal movies. Vedhika loved that director Vasantha Balan was someone who would provide enough detail but also “gave us the freedom to do our own thing.” Then, of course, experienced co-stars like Siddharth and Prithviraj helped a lot. “Vedhika amazed both Prithvi and me with her dancing. It was no mean task to dance to Raghuram master’s choreography. Both of us would be terrified thinking about the next day’s steps, and she would simply breeze through them. She would be worried about perfecting her mudras,” her co-star Siddharth had said in a popular TV chat show. 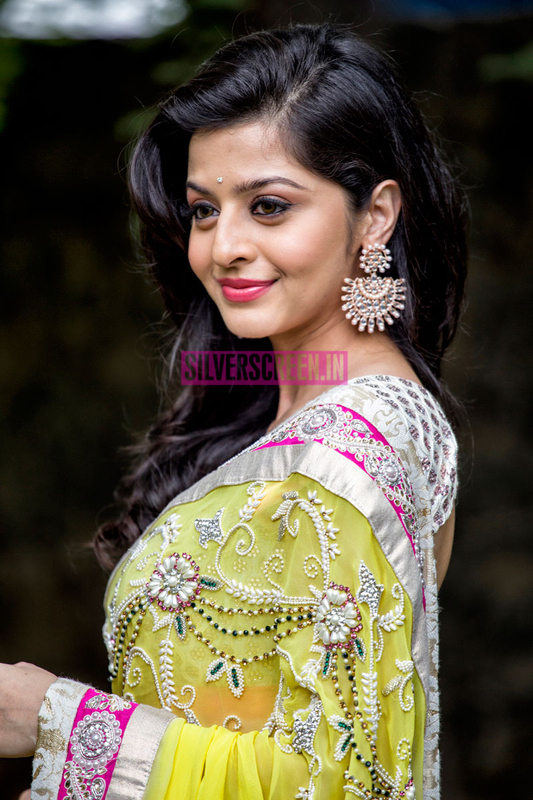 Among other things, Vedhika learnt a lot about make-up during the making of Kaaviya Thalaivan. She recalls how orange and pink foundation was blended to bring a “glaze effect”. “It is never easy to do a period film,” she confides. Vedhika’s debut was not of the fairy tale kind though. Born in Mumbai, and armed with a degree in marketing from Cardiff University and an acting degree from the Namit Kapoor school, she began her career by modelling. Nobody was more surprised than the actress herself when Arjun offered her the lead role in his own production – Madrasi (2006). Vedhika still remembers the first day of shoot. It was by the seaside in Mumbai. Amidst heavy rains, she uttered her first line, “Enna pidikuma?” Tamil was an unfamiliar language. Her debut barely caused a dent at the box office. *And two years later, she acted in Kaalai, with Simbu. Though the movie was no hit, Vedhika is proud of it nevertheless. 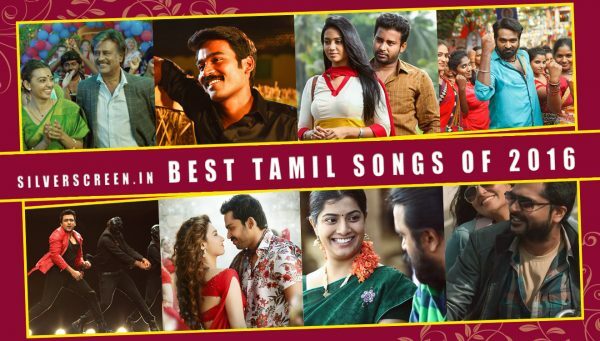 Especially the dance number Kutti Pisaasu. Simbu declared after that she was the best dancer he’d worked with. Choreographer Lawrence master echoed the same thought. “It’s not every day that you get to match steps with a dancer of Simbu’s calibre,” she says. Weren’t the lyrics a little incoherent? I ask warily. “It doesn’t really matter if I have to dance to weird lyrics, I enjoyed being part of the film. Dancing in it. You should not mix up what I am (off screen) and what I do on screen,” she shoots back. I want to be a part of experimental dance films, she declares. Sakkarakatti also met with the same fate at the box office, even as she earned positive reviews for her performance. But Vedhika does not regret signing the movie. 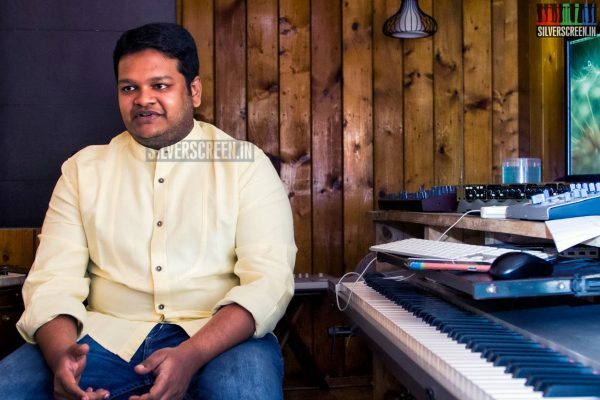 “For me, it was about being part of a film that had Rahman’s music. His music is part of my school days. During the 3-hour trip from boarding school, I would only listen to Roja and Bombay. It was surreal to be dancing to his compositions,” she sighs. She loves Kaaviya Thalaivan’s songs. Malai Malai, a movie in which she played an RJ, is another favourite. Apart from being a box office hit, she thinks she was presented beautifully in the film. Two Telugu movies and a short sabbatical later, Paradesi (2013) happened, and her career took a turn for the better. 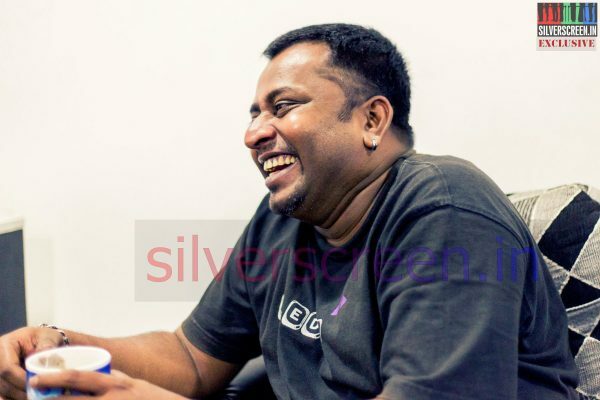 Bala is known for his ability to bring the best out of his actors. 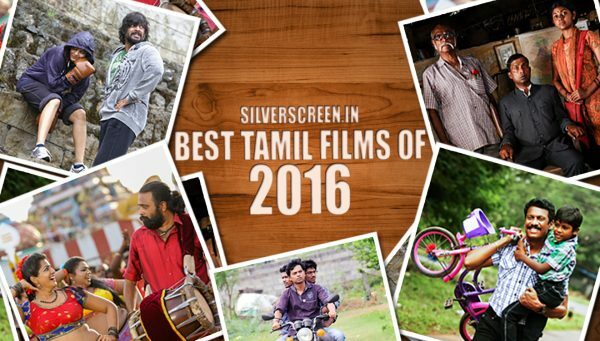 Vikram in Sethu, Pithamagan, Vishal in Avan Ivan, Arya in Naan Kadavul. “It was unbelievable. The character was completely alien to me in every aspect,” Vedhika explains. “But Bala sir had complete trust in me. He has amazing clarity of thought and he made it look very easy for me. He is extremely calm, never shouts at you. 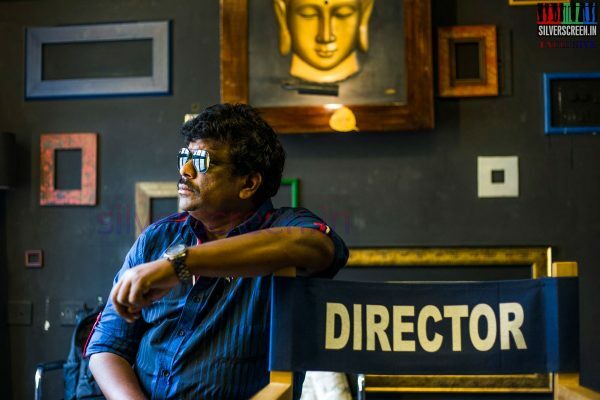 He just wants you to be passionate about your work, give your best, and he is a happy man.” And when Bala told her mom that Vedhika’s best is yet to come, she felt like she had just won a National award. The actress who left the Paradesi sets was a sage one, someone who had finally realised her true potential. That day she acknowledged that she did not just want to be a pretty face on screen. She wanted to be known for her acting chops more than running around trees singing. Vedhika is sure about something: fame shouldn’t be the sole focus of an actor’s career. She agrees that an actress’s life span is short, but then again, she thinks this depends on the kind of work they have done. “Quality work will never go unrewarded,” she states emphatically. The world of social networking has changed her perspective. Over the years, she has learnt to open up to her fans; lend an ear to their constructive criticism, clarify rumours about her, and get unconditional support in return. “If you are getting love and respect, you can’t complain about privacy, right? The audience is sensible and sensitive enough to give an artiste their public space,” she smiles. And finally, Vedhika has a tiny wish left. If ever Ram Leela gets remade down South, she would love to be Leela. And Ram? “Either Ajith or Surya,” she laughs. The Vedhika interview is a Silverscreen exclusive. *The interview has been corrected since it was published.